Sevilleta LTER, New Mexico. January 2018. Human introverts aren’t the only ones who get stressed in shared social environments. Lizards like their space–especially in the shade when it’s hot. Lizards particularly like patchy and spread out shaded spaces, which allow them to avoid interactions with other lizards. A recent study by Travis Rusch and colleagues in association with the University of New Mexico’s Sevilleta LTER site determined that both social interactions and distributions of shaded areas influence the level of corticosterone, a stress hormone, produced by the mountain spiny lizard (Sceloporus jarrovi). During their experiments, Rusch et al. (2018) found that lizards competed more aggressively for territory, and produced more corticosterone, when shade was concentrated in one large area than when shade was spread out in patches with an equal cumulative size. Even when lizards were placed in isolation in areas with clustered (rather than patchy) shaded areas, they released more corticosterone. This study provides the first evidence that thermal suitability of a habitat could be determined by modeling a species’ stress response to the patchiness of temperatures in the landscape. 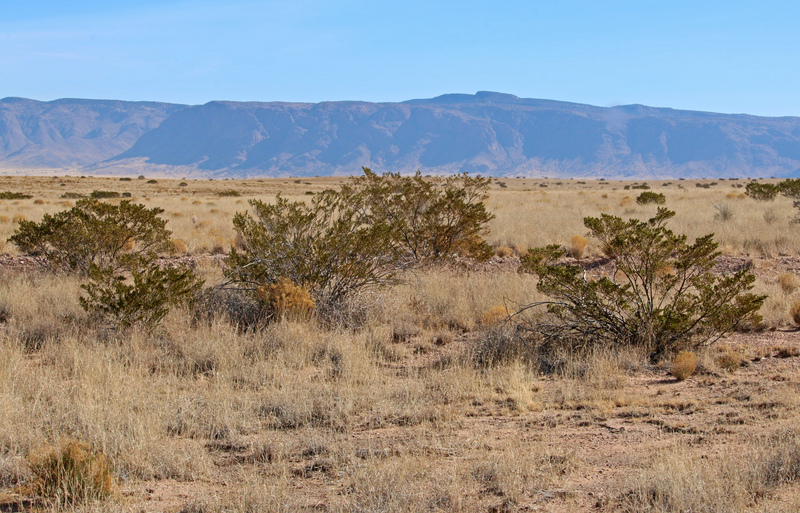 The traditional method for determining thermal suitability of a habitat for lizard populations uses a comparison of the species’ preferred temperature with the mean temperature and variation across a landscape–but this fails to take more nuanced stress responses into account. 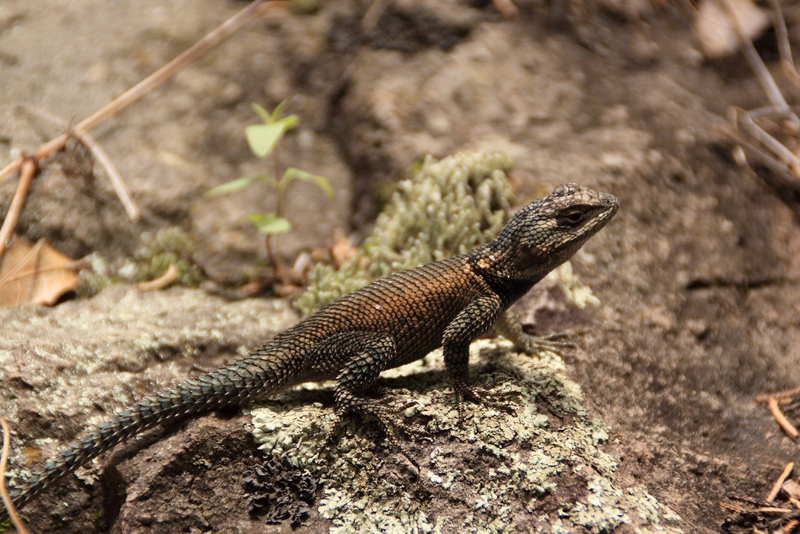 Sceloporus jarrovi (Yarrow’s spiny lizard), displays higher stress hormones when sharing shade with other lizards. Lizards populations in the Southwest United States are declining, primarily due to threats of habitat loss and degradation, often from encroaching urban developments. The ability to use thermal suitability studies to identify additional sources of stress to vulnerable lizard populations means that land planners, managers, and conservationists can take action that may prevent a decline in that lizard population. Based on the findings of this study, providing more patches of shade from vegetation or other landscape features would help relieve some of the stress that lizard populations are currently facing in the Southwest US, especially as urban areas continue to expand and anthropogenic effects create more vulnerable lizard populations. Rusch, T.W., M.W. Sears, M.J. Angilletta Jr. 2018. Lizards perceived abiotic and biotic stressors independently when competing for shade in terrestrial mesocosms. Hormones and Behavior 106: pp 44-51.